11 YRS Xiamen Sinocharm Co., Ltd.
bag Delivery Detail: Within 20 days after confirming the order 24 hours on line for service( price,products,shipment etc. ) 1kg free sample for your test 15 working days for shipment 3 working days to do with aftersale objection. We have our own factory and have 20 fulltime workers and 100 parttime workers to satisfy the increasing order demand. 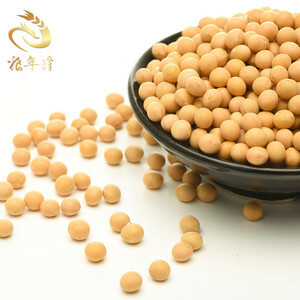 Application Soybeans are used to make a variety of soy products ,for example soybean milk ,tofu,Japanese natto. 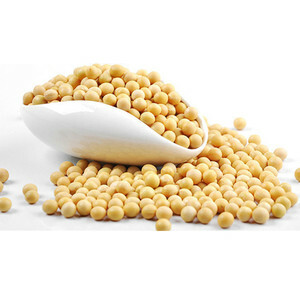 Besides Soybean meal remaining after extraction can be processed into soybean flour for human food or animal feed. Factory support: Our production capacity of the factory is very strong, professional export for ten years. 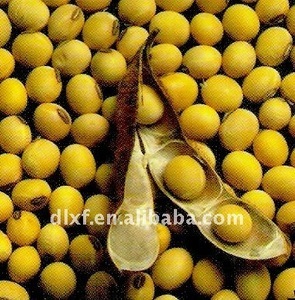 4 YRS Joy Foods (Zhangzhou) Co., Ltd.
2 YRS Shanxi Huichun Bean Industry Co., Ltd.
11 YRS Lianyungang Rifeng Calcium & Magnesium Co., Ltd.
Name Yellow Soybean, Soybean Size 6.5mm-8.5mm Protein 42% (or as require) Moisture 13%-15% Admixture 0.01% Germination 97% Type Non-GMO GRADE 1 & 2 Packing paper bag, woven bag or as per customers requirement Delivery Time within 20 days after receiving your deposit Contact Name Sophie Zhang Tel 86-411-83601801 Fax 86-411-83601807 Cell Phone 86-13514117640 Introduction We have our own farm bases, warehouses and manufacture factories. Together with the relative certificate awarded, we are able to provide you the best quality and best price. Roasted Wasabi Soya Beans Each bean is handpicked and size sieved, only the biggest beans are roasted with our great care on the production line imported from Japan. Advanced Technology and equipment can firmly ensure the production capacity and products quality of our Roasted Wasabi Soya Beans. The return shipping fee will be paid by you Payment terms: a) 30% deposit in advance, 70% balance T/T before shipment if use customer's forwarder. Q3.What's the delivery time9 A:Shipped in 7-10 days after advance payment. Q7.How about the After-sale-service9 A:One step service, quickly response to any inquiries of clients. We will do our best to provide the excellent service to all customers. 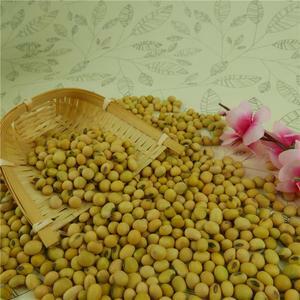 It is a Chinese traditional food which is pure soybean product. Good taste and easily to be stored. It is ok to accept any urgent order or large quantity order. 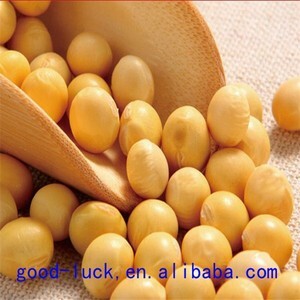 Alibaba.com offers 12,063 soya bean products. About 1% of these are soybeans, 1% are soybean meal, and 1% are natto. 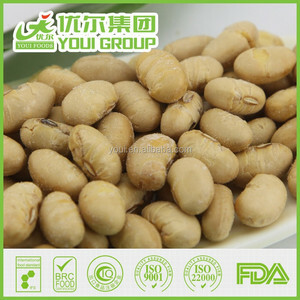 A wide variety of soya bean options are available to you, such as dried, frozen. You can also choose from organic, common. As well as from free samples, paid samples. 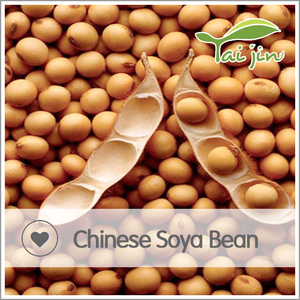 There are 12,063 soya bean suppliers, mainly located in Asia. 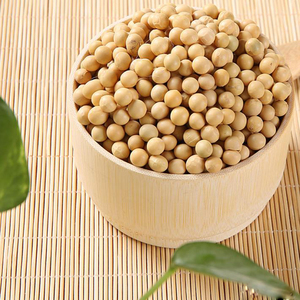 The top supplying country is China (Mainland), which supply 100% of soya bean respectively. You can ensure product safety by selecting from certified suppliers, including 5,015 with Other, 2,774 with ISO9001, and 481 with HACCP certification.